The velocity of money is the frequency at which one unit of currency is used to purchase domestically- produced goods and services within a given time period. In other words, it is the number of times one Euro is spent to buy goods and services per unit of time. If the velocity of money is increasing, then more transactions are occurring between individuals in an economy. The frequency of currency exchange can be used to determine the velocity of a given component of the money supply, providing some insight into whether consumers and businesses are saving or spending their money. Broad Money M3: Broad money (M3) includes currency, deposits with an agreed maturity of up to two years, deposits redeemable at notice of up to three months and repurchase agreements, money market fund shares/units and debt securities up to two years. 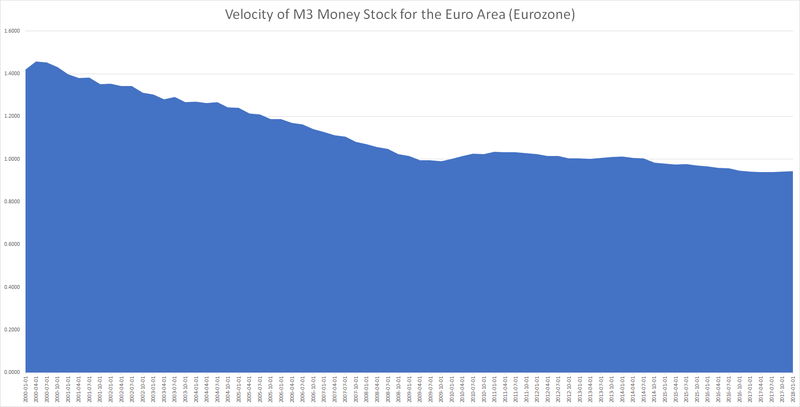 Money velocity in the Euro Area is currently less than 1 which means that money being printed (even notionally) isn’t even circulating once. 1. Consumer and business confidence for spending isn’t particularly high. 2. Consumers and businesses aren’t borrowing too much money either. 3. 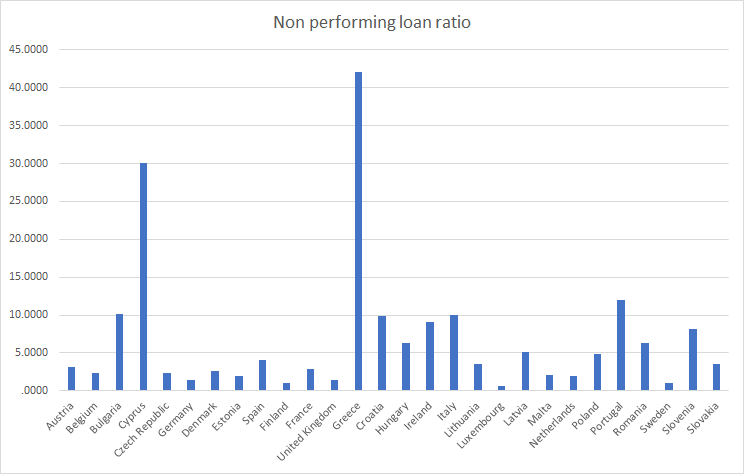 There is ample (probably excessive) liquidity in the system, another side effect of years of Quantitative easing. Money supply has grown far quicker than nominal GDP.